Ever wonder how they made that? Come learn how to make these wonderful Norwegian desserts for the Holidays on Saturday, December 10th from 9:00 AM to Noon. All ingredients and recipes supplied. You may wish to bring your own apron as well as your own irons and/or tins or just use those provided. Each person will have the chance to make each kind of cookie and take a dozen of each home to share. Cost is $20 per person. Then you can say ”I made it myself!”. Call 835-5801 to sign up by Wednesday, December 7th. Taught by instructor Gudie Huston who has 35 years of experience making these yummy desserts at home & at the St. John’s yearly Smorgasboard for your enjoyment! On Wednesday, December 14th from 9:00—11:00 AM you can create six handmade greeting cards to send to friends and loved ones. Instructor Katie Johnson will come with three different card samples and you will make two of each design. All materials will be provided including envelopes and adhesive. Everyone is invited—there is no experience necessary. This class is great for unleashing your creativity, learning a new skill, meeting new people, and socializing while you create! You must pre-register for this workshop by Monday, December 12th by calling Erica at 835-5801. Cost for the workshop is $10.00 per person (that’s only about $1.65 per card!). Happy Holidays to You from the Staff at the Senior Center! Come and swoon over Elvis as we celebrate his birthday with our very special, very groovy, and very talented Dan Sutter as he performs as Elvis! (Last year, onlookers thought that Dan was lip syncing to a recording—but we can assure you he really is that good!) So mark your calendars for Friday, January 6th @ 1:00 PM and go GA—GA over the King! Join instructor Kathy Esch on Thursdays, January 5th through February 9th from 12:45 – 3:45 PM and explore the many ways to mix color to improve your paintings and have fun doing it. Learn how to apply that color to your painting along with many other painting techniques in this 6 week class. Each class starts with a demonstration. Students may apply new techniques into their own project or work on the exercises. Cost of class is $50.00 and some of the supplies are included. The remainder of the supplies needed will be reviewed at the first class. Cost of supplies starts at $20. Some tools can be borrowed during the class. Please sign up by Thursday, December 20th by calling 835-5801. Zumba combines high energy and motivating Latin and International music with unique moves and combinations that allow the Zumba participants to dance away their worries. It is based on the principle that a workout should be “FUN AND EASY TO DO” allowing Zumba participants to stick to the Zumba Fitness Program and achieve long-term health benefits. Zumba is a “feel happy” workout that is great for both the body and the mind. Call 835-5801 to sign up for this six week class beginning Wednesday, January 18th from 2:00—3:00 PM. Cost for the class is $36.00 per person and is non-refundable for missed classes. (This is just $6.00 per class!) Taught by Deborah Gillitzer of Dance on Air Studios. Deadline to register is January 11th. Monday, Wednesday and Friday from 2:00 - 2:45 PM with instructor Gudie Huston. Class is to help improve the skills helpful in maintaining your balance; exercises to increase leg and core strength, activities to bring awareness of your center of gravity, movements to increase range of motion, and situational examples for daily living (getting in and out of a car, getting up from a fall, walking over/around objects, etc). Some exercises will be done standing up others will be on a chair, always encouraging you to work at your own pace doing what you are comfortable with but that does not mean you won't be challenged! Cost is $3.00 per class starting January 4th for 8 weeks. on Monday, Wednesday, and Friday from 3:00—3:45 PM taught by instructor Gudie Huston. This class will consist of exercises and movement to increase cardiovascular activity, increase strength from neck to ankles and increase flexibility. We will do low impact moves and use a variety of exercise equipment for a wide range of challenging movements. Cost is $3 per class. Classes start January 4th for eight weeks. Bring a water bottle. 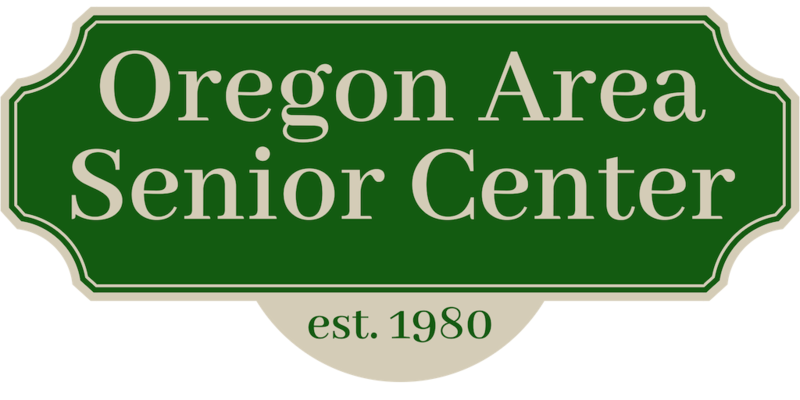 Daytime *Computer Classes* @ Senior Center Computer Lab - Call for times and prices of classes 835-5801 or search our Google calendar at the bottom of this site! I think one of the most important dogs are canines. They solved cases and they mostly helped our policemen discover that something needed for the operation. They deserved to properly cared.